Who doesn’t love banana pudding? It’s creamy and comforting. It’s something one imagines a sweet old Grandma might be in charge of making for an annual bake sale. It’s classic, timeless and delicious. These days, as I strive to eat less and less processed food (with the exception of succumbing to my sour patch kids cravings – there’s no fighting that) I wanted to make banana pudding without the help of a Jell-O packet. I couldn’t resist adding the Nilla wafers however, banana pudding just wouldn’t be the same without those tasty little cookies. 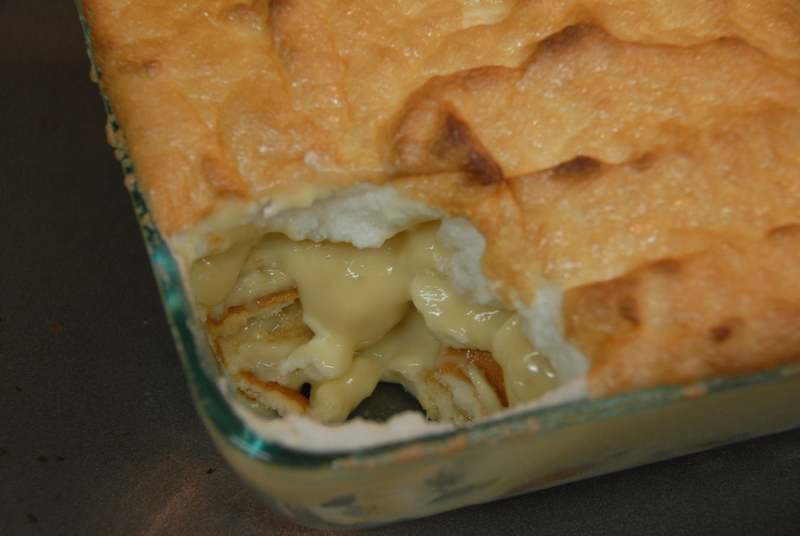 So here it is, a classic banana pudding recipe, from scratch and yet still quite simple. *Note: I would most definitely double this recipe if you were going to bring this to your next group function. This recipe only yielded enough pudding to fill a small casserole dish. In a medium saucepan mix the flour, salt and sugar together. 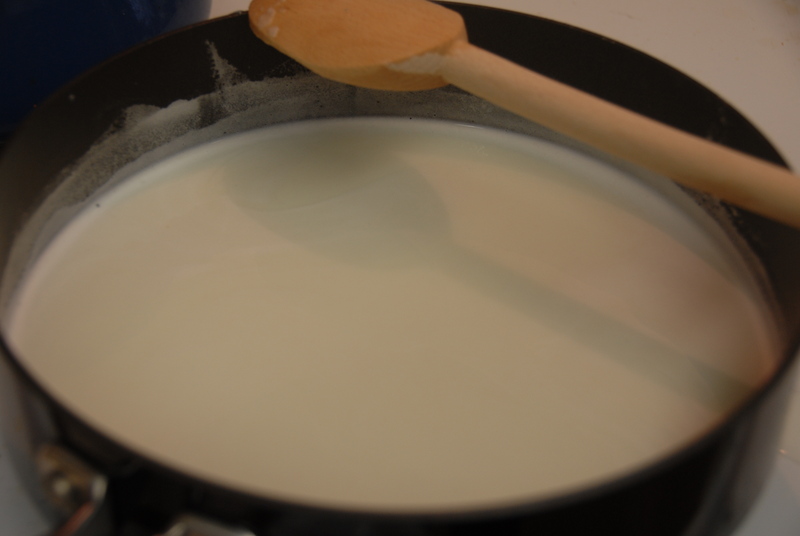 Using a whisk, slowly incorporate the milk. Heat the mixture over low heat, stirring constantly (!) until it’s creamy and think. This should take about 15 minutes. 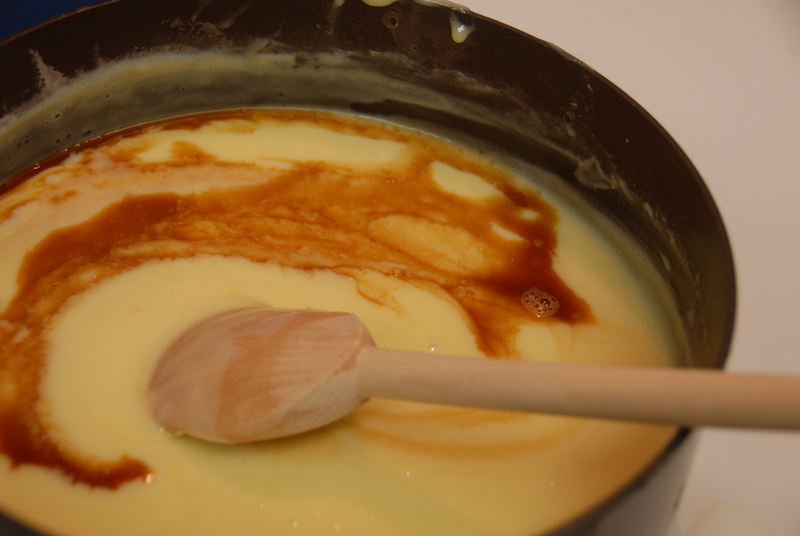 Beat egg yolks in a separate bowl and stir into mixture slowly, stirring constantly. Cook about 5 more minutes, again, stirring constantly. It should be velvety, thick and resembling pudding at this point. Remove from the heat and add vanilla. 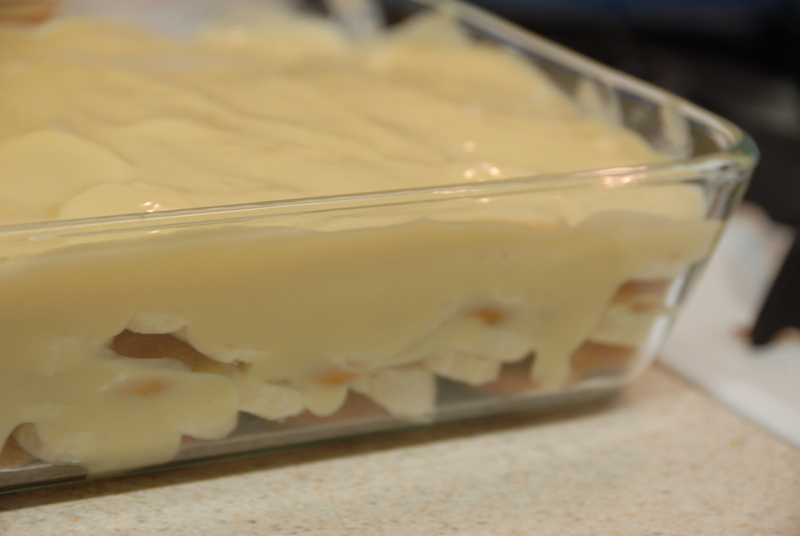 To assemble, line the bottom of a casserole dish with the Nilla wafers, sliced bananas and then the pudding. Repeat the layers, ending with the pudding on top. 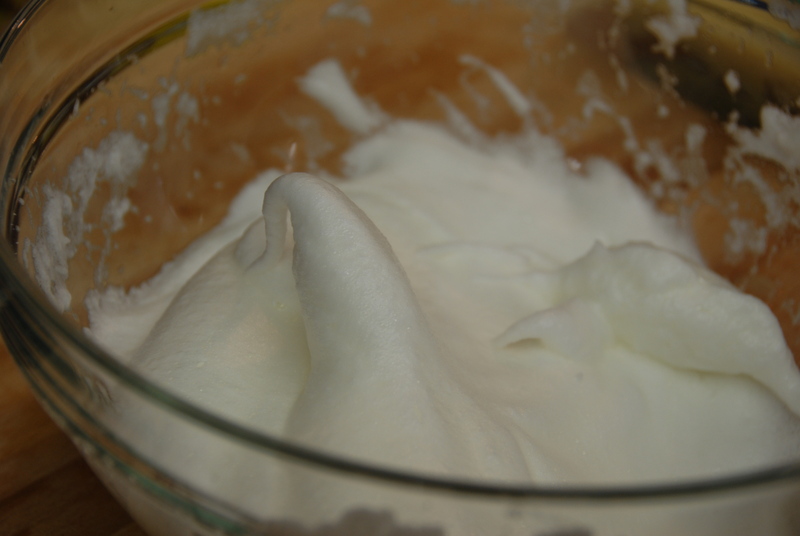 For the meringue topping – beat egg whites until they form soft peaks. Add 1/4 cup sugar and continue whisking until they form stiff peaks. Spread on top and bake in a 450 degree oven for about 5 minutes or until browned. Enjoy this warm out of the oven, or cold out of the fridge. This banana classic never fails to put a smile on my face. Maybe because it’s oh so good, or maybe because it conjures up warm memories of visits to Buttercup Bake Shop with my sister, scarfing spoonfulls of the stuff shortly after purchasing… either way, I know I’ll be making this recipe for her the next time we get together. I just know she’ll love it, and so will you! This entry was posted in Bananas and tagged banana, classic, dessert, meringue, Nilla wafers, pudding, vanilla. Bookmark the permalink.